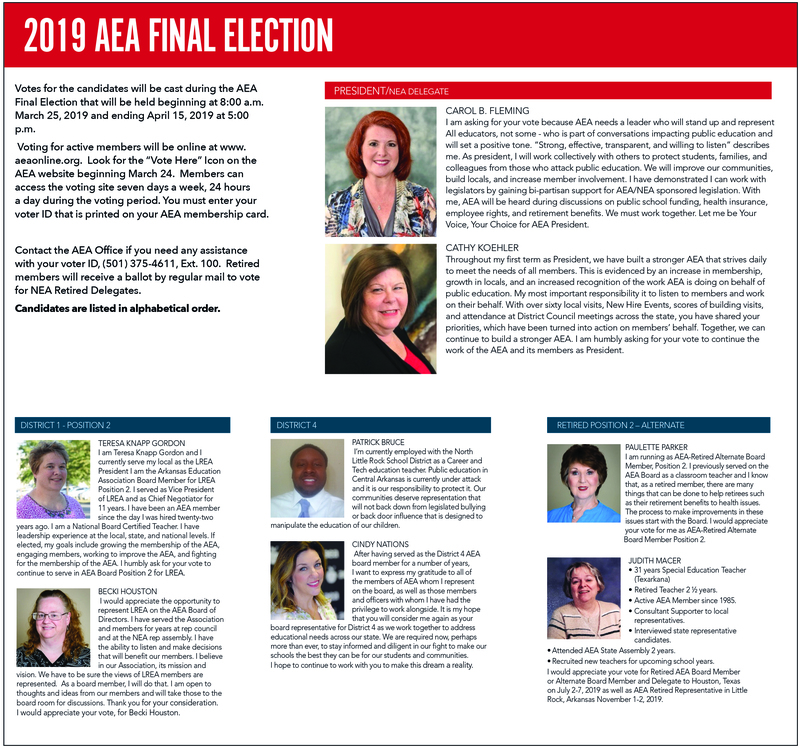 Votes for the following candidates will be cast during the AEA Final Election that will be held beginning at 8:00 a.m. March 25, 2019 and ending April 15, 2019 at 5:00 p.m.
Voting for active members will be online at www.aeaonline.org. Look for the “Vote Here” Icon on the AEA website beginning March 24. Members can access the voting site seven days a week, 24 hours a day during the voting period. You must enter your voter ID that is printed on your AEA membership card. Contact the AEA Office if you need any assistance with your voter ID, (501) 375-4611, Ext. 100. Retired members will receive a ballot by regular mail to vote for NEA Retired Delegates. Election 19 races.